Kevin Graney became president of General Dynamics NASSCO and a vice president of the General Dynamics Corporation in January 2017. Graney began his shipbuilding career with General Dynamics Electric Boat in 1995, as a senior engineer, working on the high-speed turbine generator set for the Virginia-class submarine. He was then assigned as a fluid systems supervisor, working with Newport News Shipbuilding to design the reactor plant fluid systems of the next-generation aircraft carrier – the CVN 78 program. He later managed a team of Electric Boat designers and engineers in the development of fluid systems for the British Astute-class submarine program. After working on the British submarine program, he became the program manager of capital projects and metrics in the Virginia-class submarine program office. He joined NASSCO in January 2006 as director of quality assurance and was promoted to vice president of engineering in July 2007. In 2010, Graney assumed the post of vice president of Programs and in January 2013 was promoted to vice president of Operations. In November 2013, Graney was named vice president and general manager, a position he held until assuming the role of president. Graney was born in Cheektowaga, New York, in January 1964. He earned a bachelor’s degree in marine engineering and nuclear science from State University of New York Maritime College in 1986. Upon graduation, he was commissioned as a naval officer and served aboard submarines and as an instructor at Nuclear Power Training Unit Ballston Spa in New York. Graney currently lives in Jamul, California and is married to Cheryl Kidd Graney from Colchester, Connecticut. Together, they have a daughter, Katherine, currently attending the University of California, Davis. David Carver was named the vice president and general manager of Repair for General Dynamics NASSCO in January 2014. He has overall responsibility for NASSCO’s ship repair business, including production, engineering, purchasing, subcontracts administration, contracting and estimating of repair activities. In 2016, Peter Bollenbecker was appointed to the position of vice president and chief financial officer for NASSCO. Since 2003, Peter served as NASSCO’s Senior Director and Controller with additional responsibilities as Assistant Treasurer and Officer. In these roles, Peter maintained responsibility for all finance, accounting, audit and risk management activities, and workers’ compensation operations. Debora Burke was named vice president of Human Resources in January 2017. She began her career at NASSCO in 2007 as Associate General Counsel, where she had primary oversight for all litigation matters. She provided advice and counsel to support business operations with particular emphasis in labor and employment matters, workers compensation and internal investigations. She had previously served as the Senior Director for Human Resources, a position she held since 2014. Debora received her Bachelor’s degree in Industrial and Labor Relations from Cornell University, her law degree from the University of Denver College of Law and an Executive Masters in Human Resource Management from Cornell University. William Cuddy became vice president of Operations in January 2016. He oversees the manufacturing execution of NASSCO’s ship construction programs, testing and facilities. He is also the president of NASSCO’s manufacturing and warehousing operation in Mexicali, Mexico. He had previously served as NASSCO’s vice president of Supply Chain Management since January 2013. In this role, he was responsible for the procurement of all material and services for new construction shipbuilding programs. Additionally, he managed the logistics and warehousing activities for the entire shipyard. Steve Davison was named vice president of Pre-Production Operations in June 2005. He oversees planning, production control, build strategy and operations analysis, information systems, transportation and tool control for NASSCO. Previously he was director of planning and facilities engineering. Bill Hale was named vice president of Engineering in January 2017. Bill brings 39 years of ship design and construction experience to this assignment. In his 37 years with NASSCO, he has served in leadership positions in Engineering, Operations, Program Development, Contracts, and Program Management. Bill holds a Bachelors of Science degree in Naval Architecture and Marine Engineering from Webb Institute, and an MBA from San Diego State University. Kevin Mooney became vice president of Programs and Supply Chain Management for General Dynamics NASSCO in January 2016. In his Programs role, he oversees Strategic Planning, Business Development, and new construction Program Management. In his Supply Chain Management role, he is responsible for the procurement of material and services for new construction and repair programs, while also managing logistics and warehousing activities. He had previously served as NASSCO’s vice president of Operations since November 2013. Mark J. Nackman became General Dynamics NASSCO’s vice president and general counsel in March of 2017. He oversees NASSCO’s legal, export, environmental engineering, contracts, and estimating functions. Prior to joining NASSCO, Mark was a partner at Jenner & Block in the firm’s Government Contracts Practice. 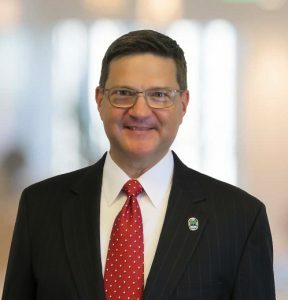 He also previously served as vice president and general counsel for General Dynamics – Advanced Information Systems, and General Dynamics Fidelis Cyber security Solutions. He was a civilian government contract lawyer and active-duty judge advocate at the U.S. Air Force Space and Missile Systems Center, and served as the staff judge advocate for a U.S.-operated airbase in Iraq in 2005. He was also a special assistant U.S. attorney in the District of New Mexico from 2000 to 2002.